My kitten ran out our front door tuesday when my husband was heading to work. 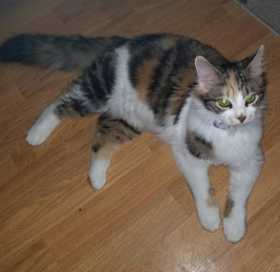 She is a calico taby mix. Shes about 6 or 7 months old. Very skidish and shy. Last seen wearing a purple collar.